There are three different roles within Tribes: Tribe Owners, Admins and Tribe Members. 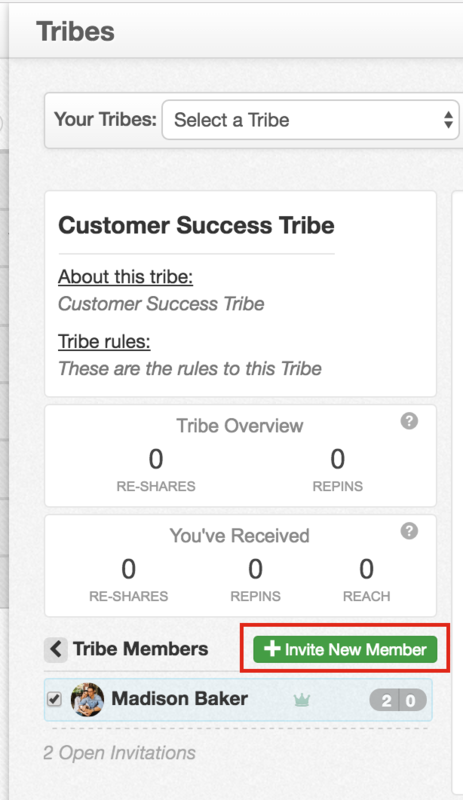 Although every role is important, Admins can help you curate and edit content as well as manage Tribe members. Learn how to make someone an Admin with these simple steps. 2. Select "Invite New Member." 3. Invite a new member via email, copying a link or Facebook Invite. Helpful Tip: Check out this article to learn more about how to invite new members. "How to add members to a Tribe"
4. 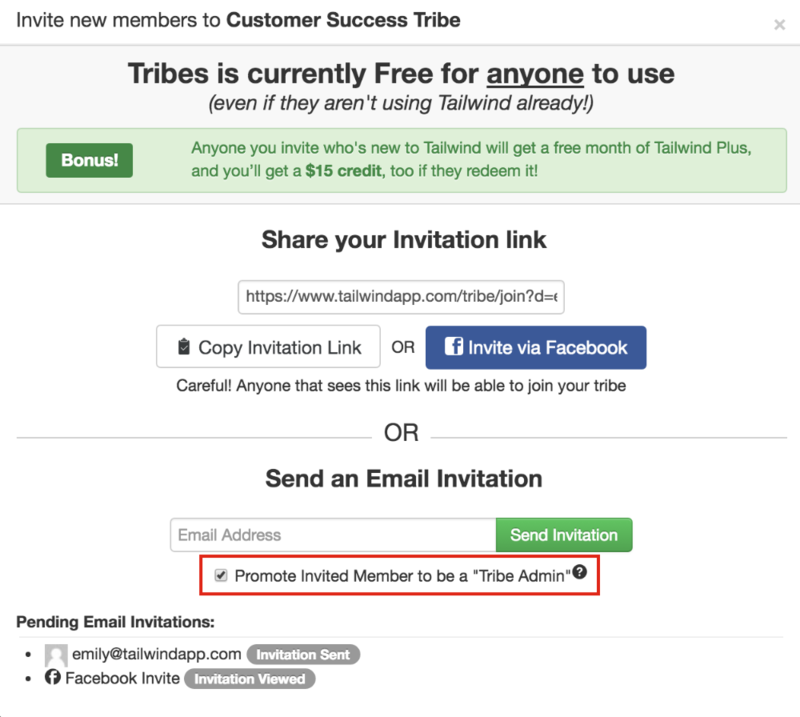 At the bottom of the Invitation box, select the small check-box that says "Promote Invited Member to be a "Tribe Admin." 5. 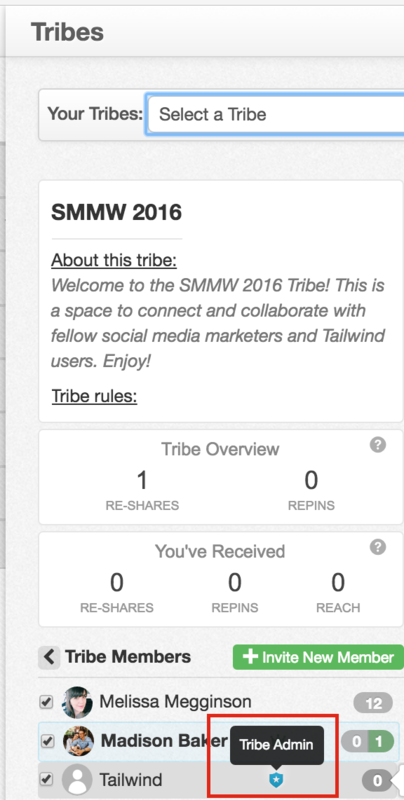 When the user accepts the invitation to your Tribe, they will have Admin permissions and there will be a badge next to their name. 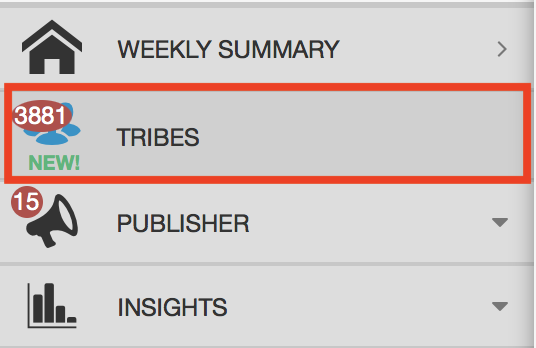 Helpful Tip: Check out this article to see what an Admin can do in Tribes. "What is the difference between a Tribe Owner and Tribe Admin?" At the moment, there is not a way to promote a current member to an Admin. However, the Tailwind team is currently working on this, and should have this functionality available soon.